Winning at Winter is full of little ideas that will help you make winter much easier. 33 page PDF with 11 printable checklists and worksheets. 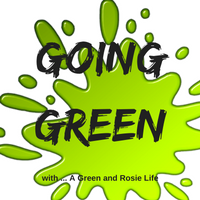 Including a full upcycling tutorial, recipes, ideas for saving money and gentle decluttering tips. The long winter months can drag on. There is a flurry of activity for Christmas that can leave you feeling flat afterwards. 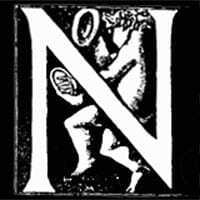 You might make and break new years resolutions and February sometimes feels pretty bleak. 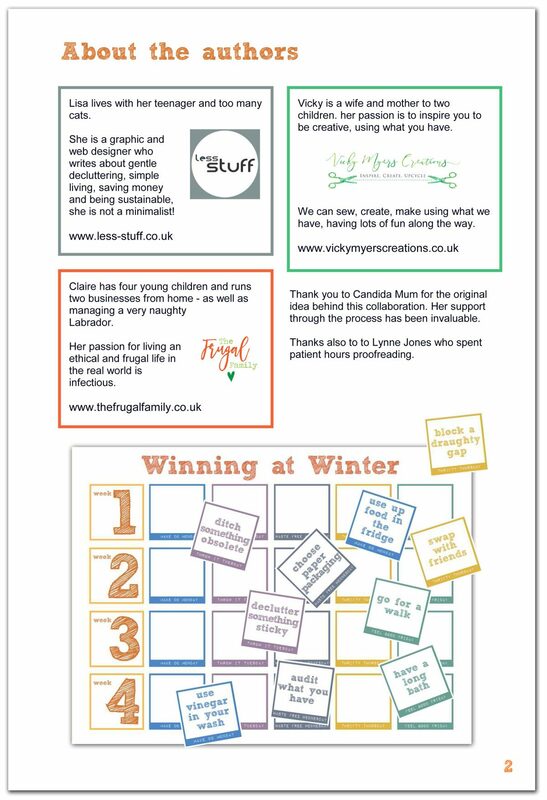 I’ve teamed up with upcycling expert Vicky Myers and the brilliant Claire Lyons who is the frugal family expert. Between us we have come up with a solution to make winter fun, frugal and environmentally friendly too. It is a workbook full of things you can do to make four winter weeks much better. We have collaborated and written a book with daily themes and a blank calendar to fill in with daily actions. 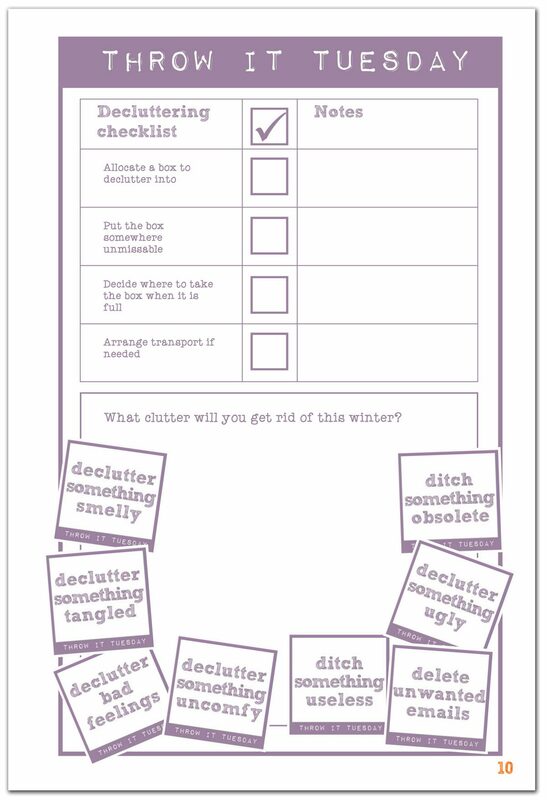 Each daily theme has a list of actionable ideas for you to try. Each action will help you make a small difference to your life and the world. You can pick activities you are interested in because you want to do them, not because you think you should. 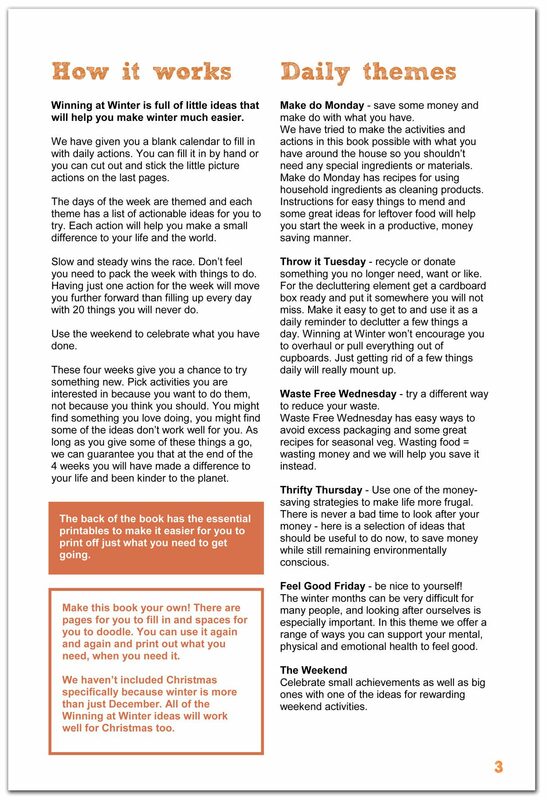 As long as you give some of these things a go, we can guarantee you that at the end of 4 weeks you will have made a difference to your life and been kinder to the planet. 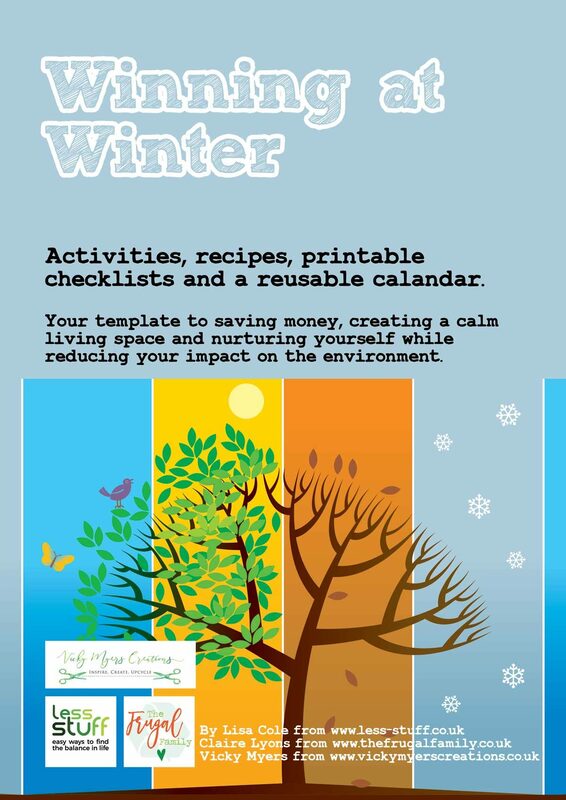 This handy booklet is packed with fun tips and hints to make winter survival more easy. I recommend it to anyone who hates chores and tidying up. 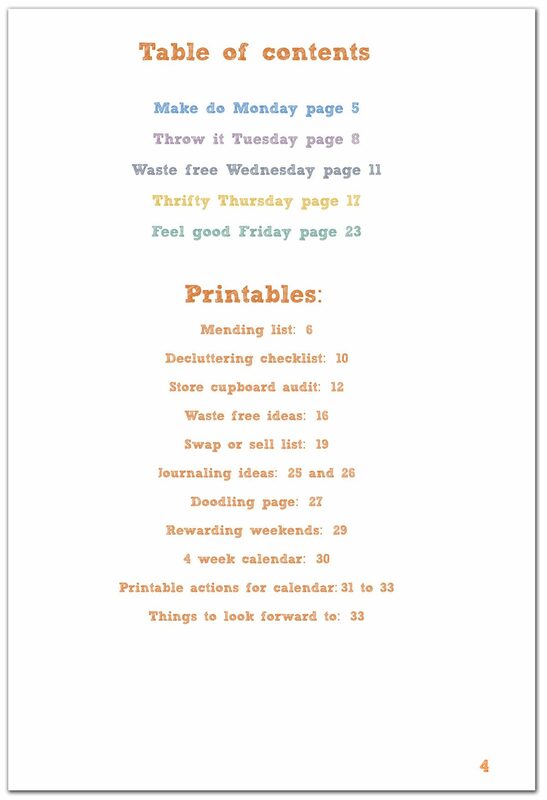 There are several pages to print out and make your own lists and fill with ideas. Cheap and cheerful for everyone. 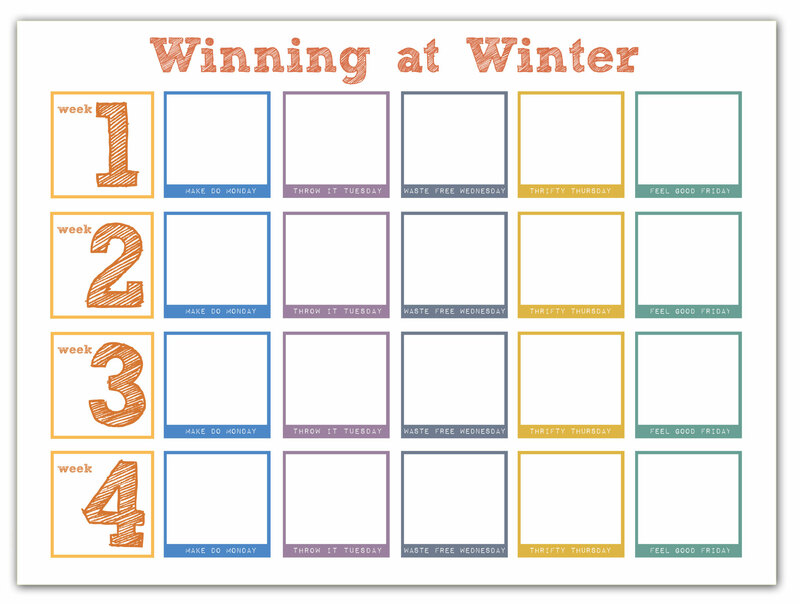 Winning at WInter Workbook is an excellent resource for helping you to shake off some of that winter hibernation sluggishness and gets you inspired to begin to spring into action. 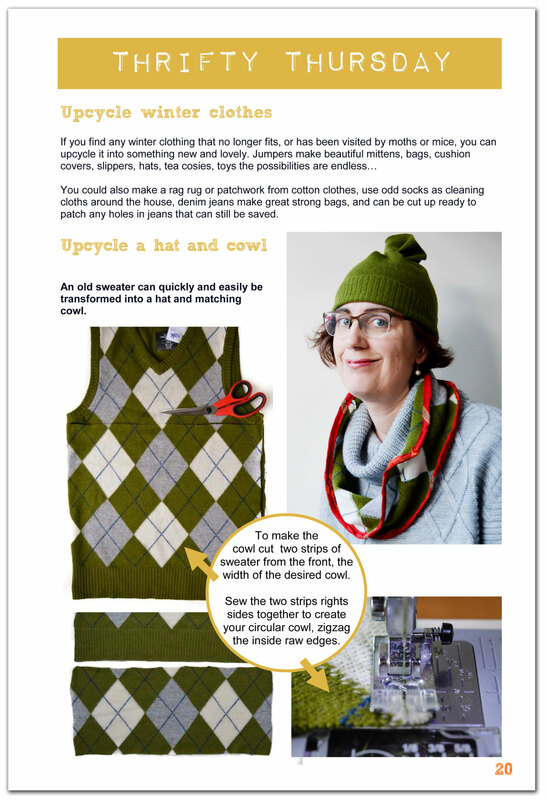 It’s packed with tips and daily ideas that gently get you winning at winter.